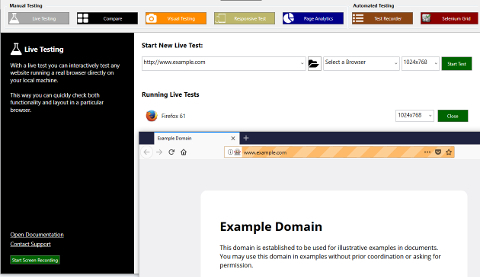 Real, sandboxed web browsers, as well as a Responsive Design, Mobile, iPhone, & iPad Simulator testing suite which can run offline in your own desktop environment! Run IE 7 - 11, Edge all Firefox and Chrome versions as standalone browsers - test seamlessly on a single desktop locally without VMs or tunnels. Debug your site in iPhone, iPad and Android emulators with landscape/portrait toggles, developer tools and built-in video recording. 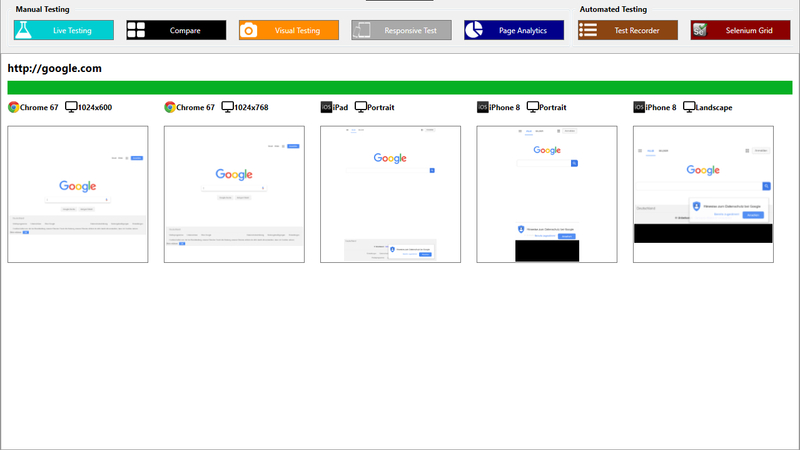 Ensure mobile-readiness with one-click RWD tests spanning as many devices and display resolutions as you like. Easily create video recordings of your tests. Need to demonstrate a bug step by step? Need to show what a site looks like on a mobile device? 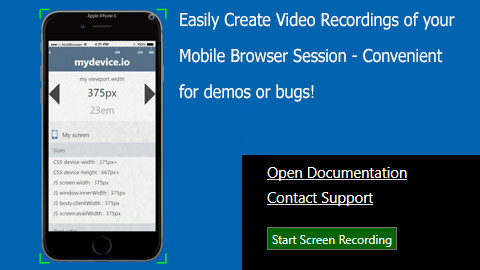 Now you can easily record a video of your screen session with a single click. 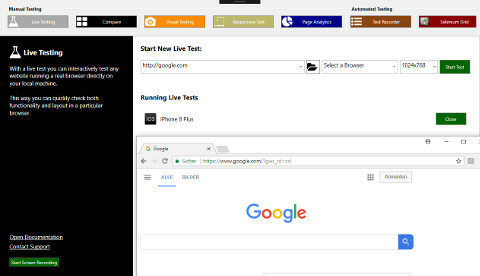 Record and playback interface/functionality tests across multiple browsers without writing a single line of code. Within the University we needed to test a number of different web browsers to support our students' needs, this caused an issue with being able to support older along, with current versions. 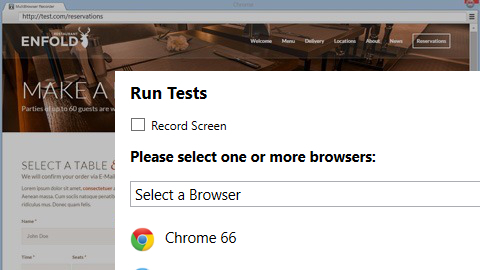 MultiBrowser allowed for the testing teams to be able to do this seamlessly. If you are installing MultiBrowser for the first time, you will have access to all the features in the Professional edition for 14 days. After that, you will need to purchase a MultiBrowser license to continue using the MultiBrowser testing software. Have an expiring license you need to renew? Need multiple licenses or a formal quote for a purchase order? Migrating from the previous version of Multi-Browser Viewer?